Freedom Quilt and a Freebie!!! Wow, double “free” in my post title tonight!! First of all, I am SUPER excited because I uploaded my first item EVER to TPT tonight! Wooo hoo! I had been wanting to make a desk fairy note forever, and then I found these adorable St. Patty’s Day monster graphics by the amazing KPM Doodles and decided to make a desk monster note instead! I know my boys will probably like this more than a fairy. So here it is…. my first freebie! Click here to go to my TPT store to download the freebie! If you use it, please leave me a note and let me know! Next up… our class freedom quilt! After reading many wonderful books about the Underground Railroad, including Sweet Clara and the Freedom Quilt by Deborah Hopkinson, I put my students with partners to work on making a square for our classroom freedom quilt. In the story, Clara learns how to sew and makes a quilt with a secret map sewn in from scraps of fabric to show slaves what to look for on the path to freedom. 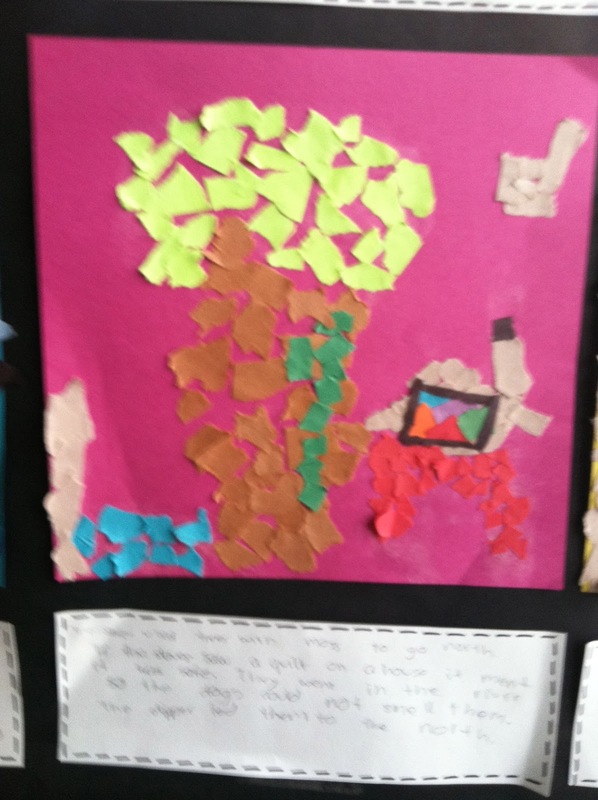 Students worked with their partner to create a quilt square from scraps of construction paper that they ripped up. 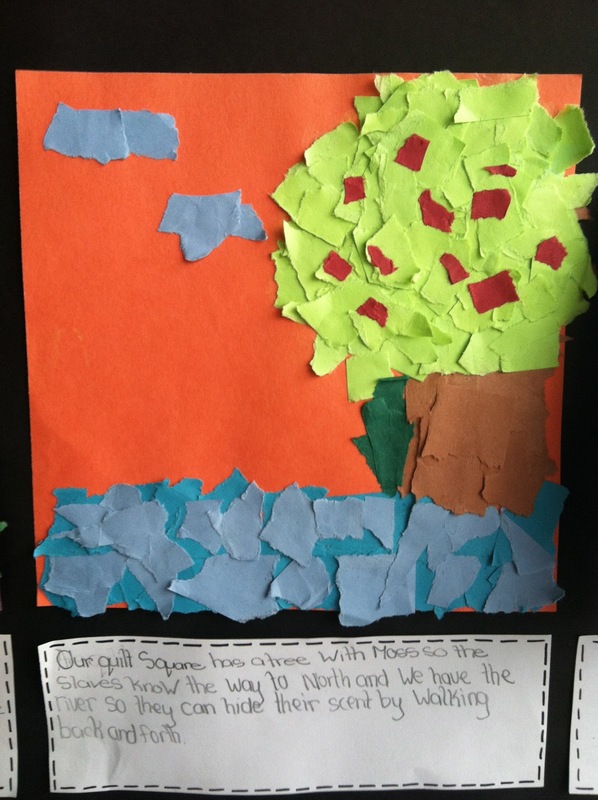 Their squares included symbols and pictures that provided information for the slaves on the Underground Railroad. Then the students had to write what they depicted in their quilt square. Here is the final product! This lesson was inspired by a lesson that Dr. Nan McDonald did during a reading conference I attended this summer. Dr. McDonald is a huge advocate for integrating the arts into classroom lessons and is so inspirational! Here is her book that includes that lesson along with many other fabulous lessons! I went and got the Desk Monsters…Love! Happy March!! Thank you so much! Hope your kiddos like them! And happy March to you too! I love your freedom quilt!!! That is so creative and it turned out beautiful!! Congrats on your first item in your TpT store! It is really cute :o) I'm your newest follower! Congratulations on your first TpT item! We've awarded you the Liebster Award! Come to our blog to see! Awesome freebie Molly! I just downloaded it!!! I enjoy reading your blog! I nominated you for an award! Come on over to accept it! The little desk monsters are so cute! Love your freedom quilt. Just found your blog. Stop on by mine. I've got a great giveaway posted now if you choose to enter. The quilt is great! I am here via Jill- glad she sent me~ I am your newest follower! Love your blog! 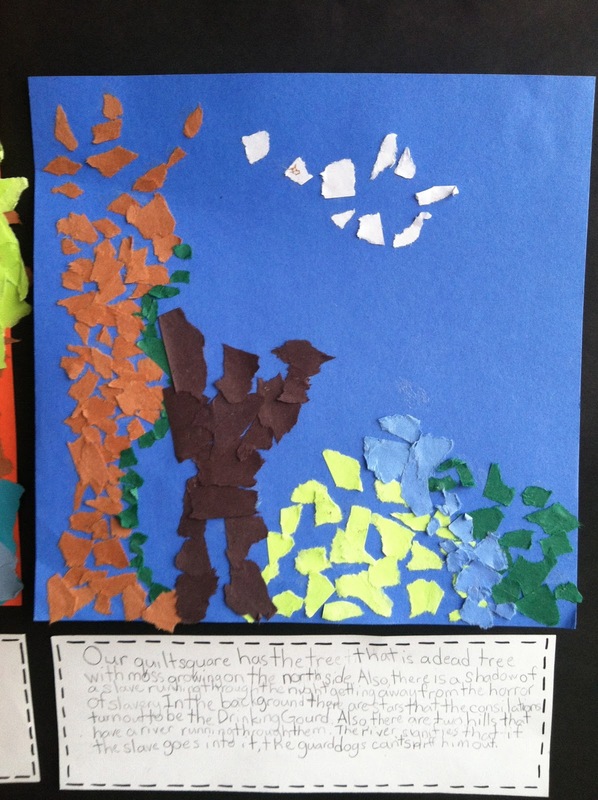 (Really love the torn paper art!) I am you're newest follower!! I'm following you! I like your desk monster cards. Go to my blog to read about my locker fairy notes. The desk monster cards are adorable!! And the Freedom Quilt is so great! I am a new follower, I found your blog from Jill over at Marvelous Multiagers, and am so glad I did! Hi Molly! I LOVe the desk monster note. Thanks for sharing! Your Freedom Quilts look awesome! I just gave you an award. Please stop by my blog to get it. 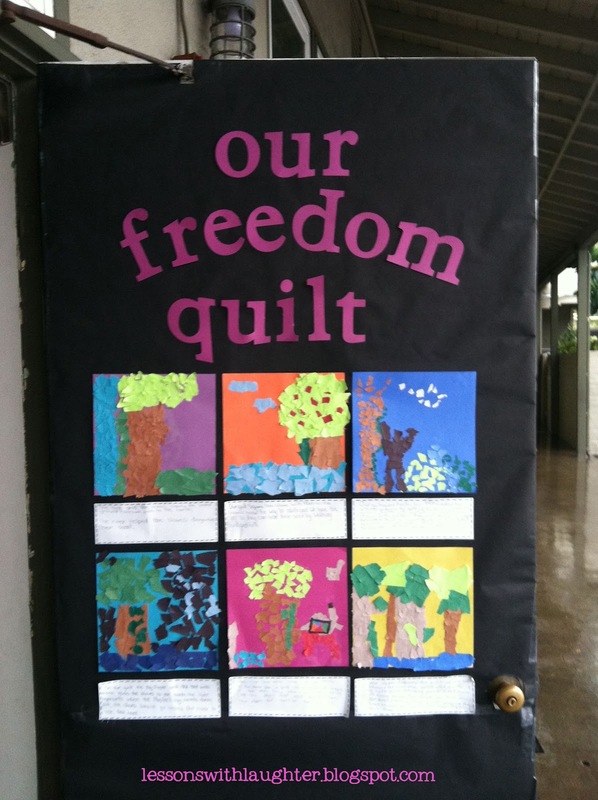 We love your Freedom Quilt and featured you today at our blog, BulletinBoardIdeas.org! We were sure to give idea/photo credit and a link to your blog, but we'd love for you to check it out! Thanks for sharing your creativity & happy learning!